Karl-Magnus Fredriksson, baritone, is a romance-, church-, concert- and opera singer since 1991. He was named Court singer 2004 and a member of the Royal Academy of Music in 2012. In 2013, Karl-Magnus Fredriksson was awarded the Litteris et Artibus award by HM King Carl the XVI Gustaf. Since 1998 he has worked at the Royal Opera in Stockholm, where he sang roles like Figaro in Il Barbiere di Siviglia, Marcello in La Bohème, Papageno in Die Zauberflöte, The Unknown in Gefors Christina, Fritz in Die tote Stadt, the title role in Eugen Onegin, Greve Luna in Il Trovatore, Germont in La traviata, Absalon in SD Sandströms Batseba, Sharpless in Madama Butterfly et and among other guest plays at New National Theater in Tokyo. 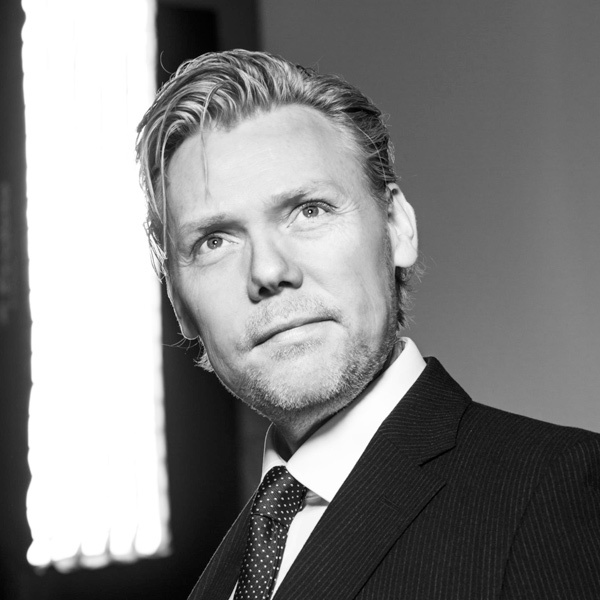 Karl-Magnus Fredriksson is a regular guest with several of Europe’s foremost orchestras and ensembles. He has worked with conductors like Sir John Eliot Gardiner, Riccardo Chailly, Lorin Maazel, Eric Ericson, Gustaf Sjökvist, Sir Colin Davis, Neeme Järvi, Leif Segerstam, Herbert Blomstedt, Sakari Oramo, Andrew Manze, Peter Dijkstra and others. He has participated in many major tours, a number of with Eric Ericson and his choirs, the Gothenburg Symphony Orchestra and others. He has made about 30 CD recordings, from oratories, passions, and operas to romances, hymns and visions for various record companies worldwide. He happily designs his concerts so that the singing and romance singing meets and ties them together in his texts. For several record productions he has both been a producer and responsible for photographic design. Karl-Magnus Fredriksson arranges music and writes his own texts and music for different types of ensembles, also commissioned work. Karl-Magnus Fredriksson is often seen on TV and radio, where he participates in, among other things, new recordings of contemporary music, and in previously unrecorded material. His repertoire includes oratorios and passions, orchestral songs – primarily Mahler, Nordic romances and other European romance repertoire and opera. In spring 2015, Karl-Magnus Fredriksson has given novel concerts around Sweden, including at the Royal Opera’s big stage, in Västerås and Gothenburg’s concert hall. Karl-Magnus Fredriksson is educated at the Academy of Opera in Stockholm, where he studied for the Court singer, Professor Erik Saedén and graduated in 1991. He has also studied for Dietrich Fischer-Dieskau and is himself a requested song teacher with teaching and training in singing technique and interpretation at colleges, master courses and private.